One of our specialties is providing top quality termite pest control in Bergen County NJ and Rockland County NY. Usually the first time a person considers termites is when they buy a home. Most mortgage companies and banks require various inspections including a wood destroying insect report from an inspector licensed in termites. That inspector can be a pest control operator, a structural engineer or other person as long as they are properly licensed. You may have heard it called; pest inspection, termite report, wood destroying insect report, FHA, VA or HUD report. The correct name is : Wood Destroying Insect Infestation Inspection Report. 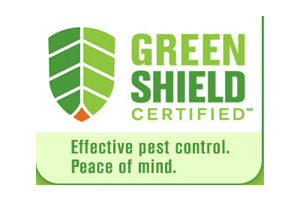 This form was developed as the industry standard through a joint effort by the National Pest Control Association and the U.S. Dept. Housing And Urban Development (HUD) , it is an official document and is used throughout the United States. For a proper inspection we need access to the exterior foundation and the lowest interior level of the house, basement (finished or unfinished), crawl spaces and garage. We check for evidence of all types of wood destroying insects, carpenter ants, powder post beetles, carpenter bees and termites, these and any other wood damage (dry rot, water damage) must be noted on the report. We also must note if infestations are active and if treatment is needed. If no evidence is found you get a clean report and on you go to the next step in the real estate transaction. Everyone hopes for a “clean” report, but the need for a treatment need not end the purchase, a properly documented treatment will modify the report. For more information about termite treatments click here.